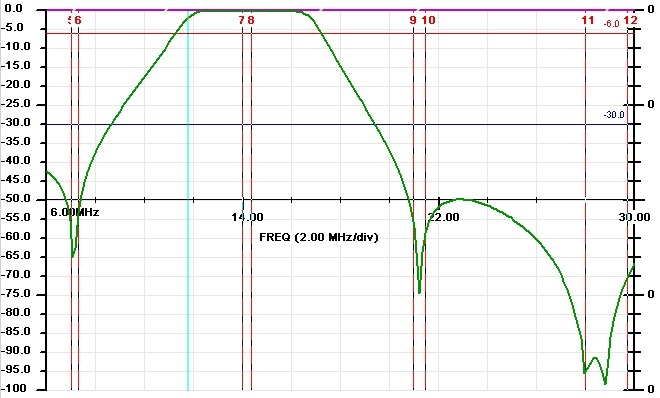 100 W three poles Band Pass Filter for 10 m. The new "BandPasser" singles are the same filt..
100 W Band Pass Filter for 12 m The new "BandPasser" singles are the same filters in the BandPasser..
100 W three poles Band Pass Filter for 15 m. The new "BandPasser" singles are the same filters in..
100 W Band Pass Filter for 17 mThe new "BandPasser" singles are the same filters in the BandPasser..
100 W Band Pass Filter for 20 m. The new "BandPasser" singles are the same filters in the BandPas..
100 W Band Pass Filter for 30 m The new "BandPasser" singles are the same filters in the BandPasser..
100 W Band Pass Filter for 40 m The new "BandPasser" singles are the same filters in the BandPasser..
100 W Band Pass Filter for 80 m. The new "BandPasser" singles are the same filters in the BandPas..
100 W Band Pass Filter for 160 m. The new "BandPasser" singles are the same filters in the BandPa..
Six bands Band Pass Filter System. 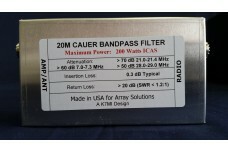 Power Rating: 200 W SSB, 100 W CW Front view: &nbs..
Four band (12 m, 17 m, 30 m and 60 m) Band Pass Filter System. 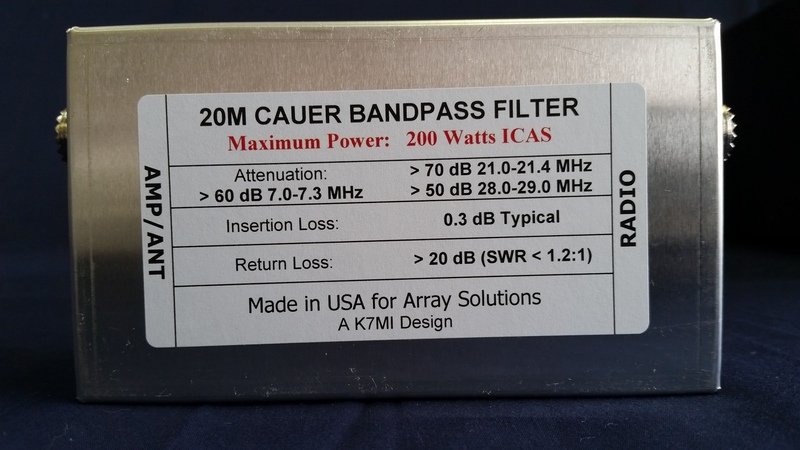 Just as the AS-419 but for WARC and 6..
200 W CW / 400 W SSB High Pass Filter for 10 mInsertion Loss (S21) and Return Loss (S11) plots To s..